Its only one time used lehenga. Its colour is black golden and red combination. 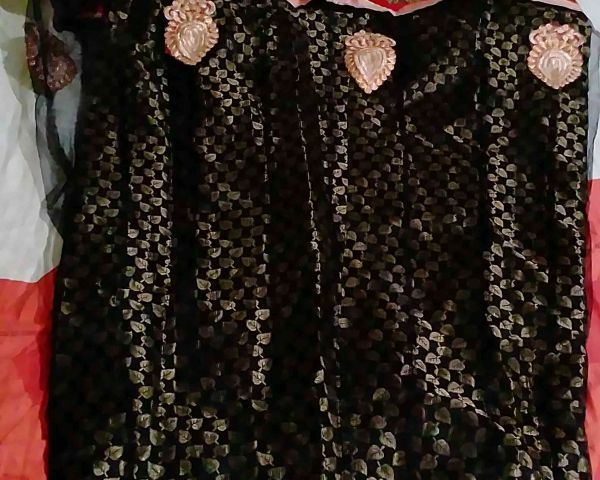 Blouse is stiched size is upto 40. 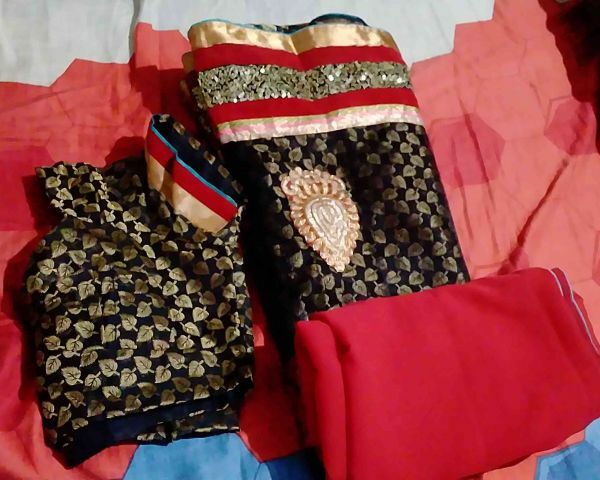 Dupatta is red colour with border.